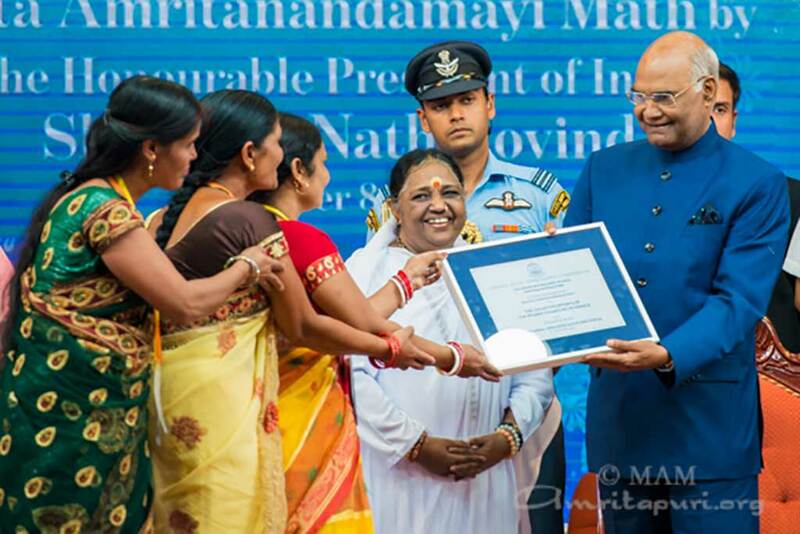 As part of the celebrations for Amma’s 64th Birthday, the President of India, Shri Ram Nath Kovind, presented village leaders with certificates verifying 12 Amrita SeRVe villages as Open Defecation Free (ODF). This achievement is thanks to the dedicated and innovative work of AMMACHI Labs in toilet construction in our villages. 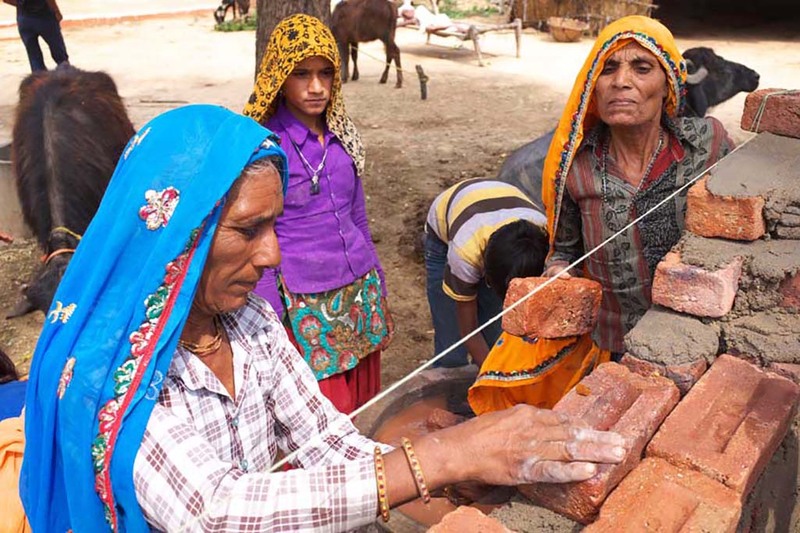 They train women how to build the toilets so that they have a new set of skills by which they can then find alternative means of income for their families. The project also brings forward the need for training in sanitation and hygiene which then is shared with family, friends and neighbours—the vital ways to curtail the spread of illnesses. In terms of sanitation and access to toilets, that especially means diarrhoea and pneumonia. Both of these can be fatal, most of all for children under five.